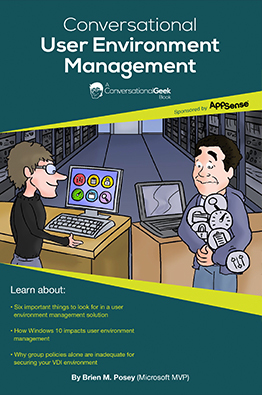 Easily “converse” about user environment management in any setting. User environment management has always been challenging, but has become more complex in recent years due to trends such as VDI and Bring Your Own Device. The goal of this book is to help folks who manage VDI environments to allow users to personalize their own environments without giving up control in the process. Even if you have never worked in a virtual desktop environment before, this book will allow you to talk about user environment management as if you have been working with VDI for years.